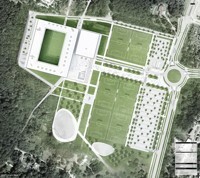 The concept received the 2nd prize in the international competition for Katowice's new main sports complex. 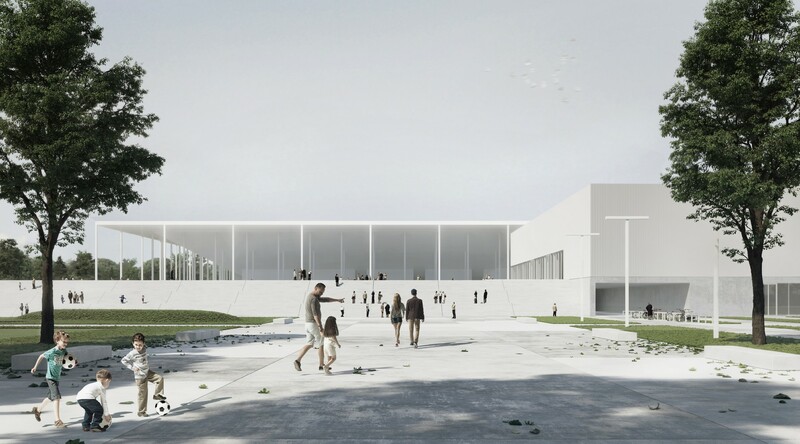 Created by JSK Architects, the proposal is characterised by great urban planning of the entirety and elegant spatial order. It also fits well in the scheme of phased development. 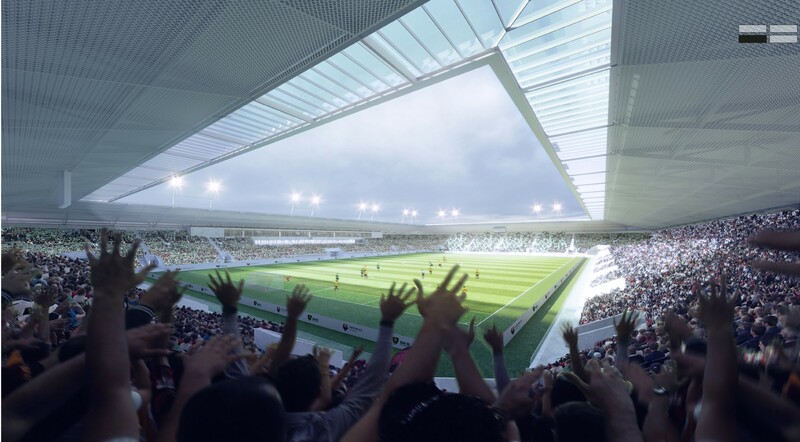 The stadium's aesthetic is very light, both in terms of colour and chosen solutions. With no opaque cladding, it welcomes people inside, protecting them from elements with roof spanning well outside the auditorium, onto the public plaza. 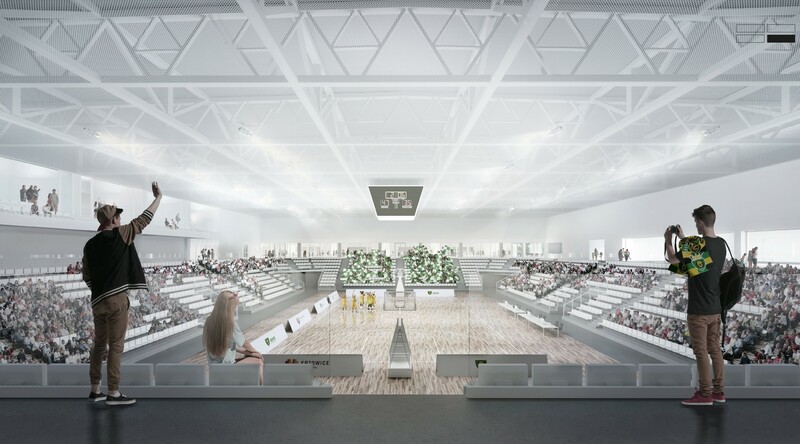 Indoor arena is planned east of the stadium and the space between them, in south-eastern corner, is used to create an elevated public plaza, under which a sports museum is proposed. 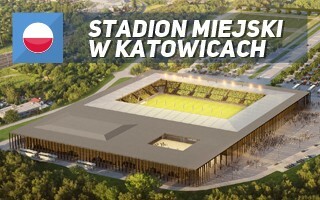 The new municipal stadium in Katowice will be located south of the city, close to the highway exit, on the corner of two fairly obscure streets, Bocheńskiego and Dobrego Urobku. Large plot was selected due to the primary sports buildings being joined by 6 football training fields, with room left for additional development and parking. 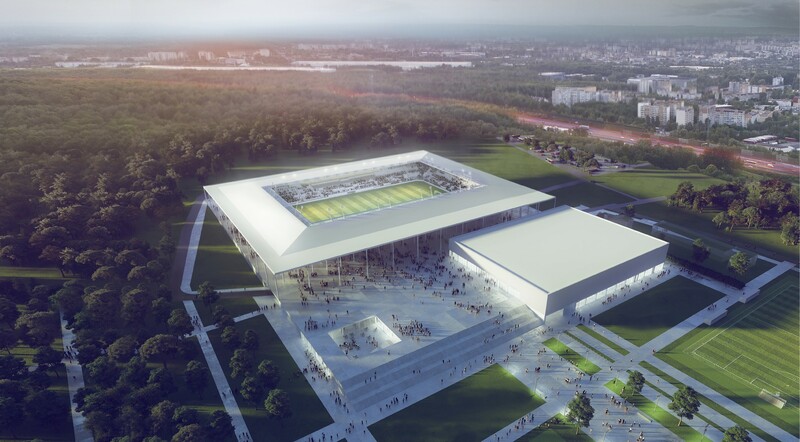 One of the last major cities in Poland without a modern football stadium is set on changing things round. 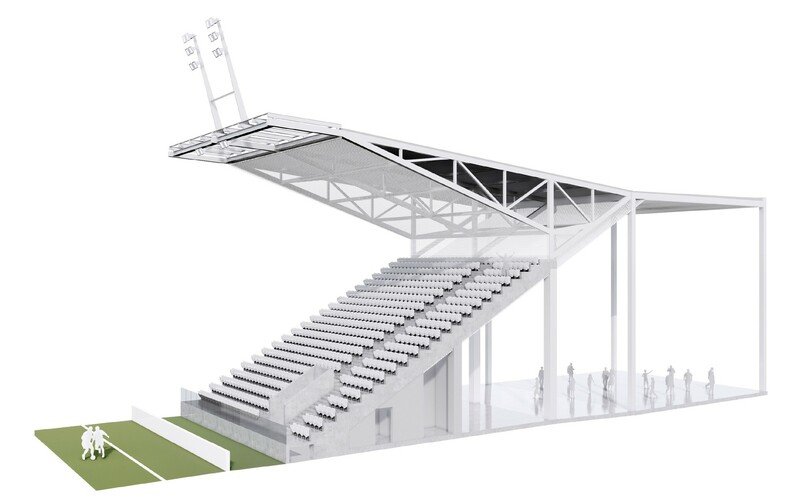 Official design has just been revealed, along with two runners-up.